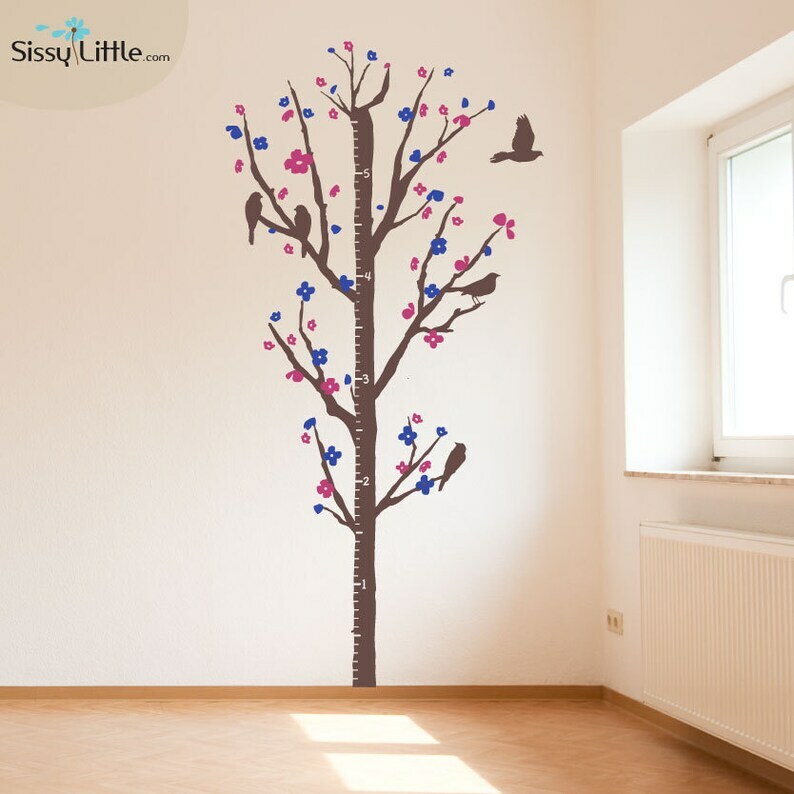 This beautiful tree incorporates several of our favorite wall decal designs into one! With this tree, you'll have birds in flight with the vibrant colors of a cherry blossom. Also, you'll be able to make your mark as your child grows into this design. Pick your favorite 3 colors to add a splash of fun to any room décor.